There are some movie genres that don’t fit into any of the traditional labels. Sometimes it’s just not enough to call a film a “drama”, “comedy”, or “thriller”. 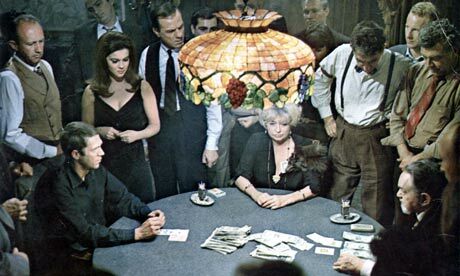 While some would think “gambling” films are more about the subject matter rather than being its own genre, they couldn’t be more wrong. 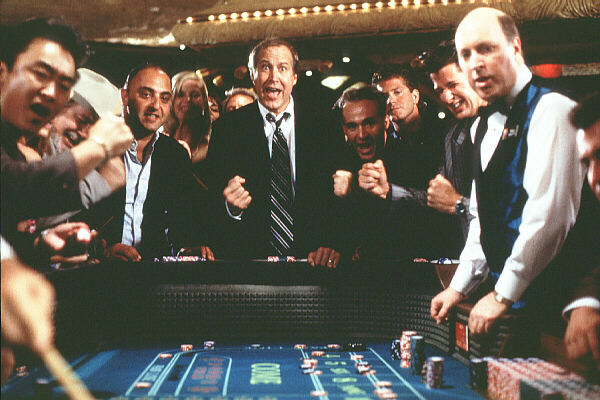 Gambling films deserve their own category in and of itself. They are the perfect combination of drama, comedy, suspense, thriller, and action. They are character pieces with nail-biting suspense that portray the self-destructive inner psyche mentality better than most other films could ever dream of. We usually don’t even know who to root for if it’s done correctly. Much like you wouldn’t just call a sports film one of those bland characterizations suitable for only the latest “Tom Cruise is a [cocky] contract killer from the future” film, you shouldn’t try to stick these films into one of those boxes. 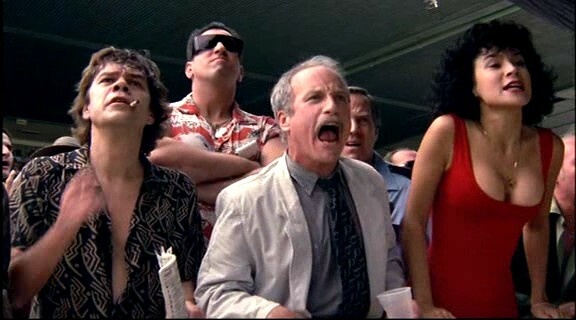 And unlike it’s closest likeness, the sports film, watching the losers is usually more fun than watching the winners. Sometimes the influence of your partner in crime, or gambling, in this case, it what matters most. California Split has a mix of Tijuana, Reno, card games, races and casinos to land the ultimate round-tripper of the gambling world. These two lucky losers live on the edge and each push each other deeper in their own way. It’s a little known film but stands the test of time as a great one to watch if you’re looking to scratch that itch. Richard Dreyfuss goes on a hot-streak at the horse tracks that people only dream about. Dreyfuss is the epitome of the racetrack regular. He likes booze and smokes like a chimney but the only thing he likes better is a hot tip on a pony that is a sure thing. 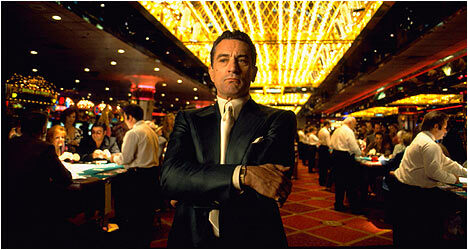 Let it Ride is a worthy film to bear the gold standard of the ultimate bettors’ mindset. A box office flop, Hard Eight is an unheralded diamond in the rough with a stellar cast. Paul Thomas Anderson’s first film, he assembles John C. Reilly, Gwyneth Paltrow, Samuel L. Jackson, Philip Seymour Hoffman, and Philip Baker Hall. Are you freakin kidding me? The young down on his luck gambler gets taken under the wing of an older pro who teaches him how to be a pro. Mix in a good love story and some underhanded dealings and you’ve got the recipe for a winner. 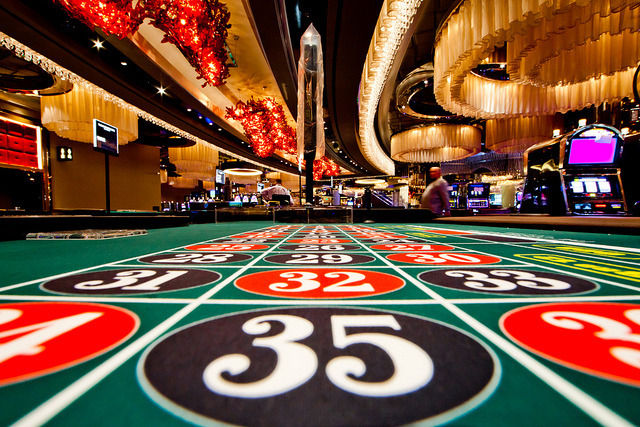 This is the most hysterical look at what it’s like to be caught by the gambling bug. There is no better character to illustrate it and make you cry from laughing then the one and only Clark W. Griswold. Clark basically forgets his family even exists just to go after that big win. From Uncle Eddie enlightening Clark to the secrets of the off-the-strip Vegas buffet, to Nick Pappagiorgio; Wayne Newton to Wallace Shawn (the dealer who loves to mock Griswold; there is no end to the unforgettable scenes and journey through Vegas, Griswold style! 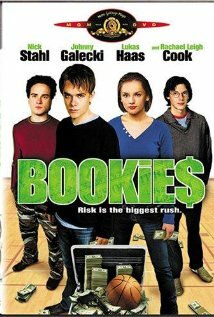 Sometime after Roseanne and before The Big Bang Theory, Johnny Galecki was a college kid putting together a small-time bookmaking business. This little known and underrated film takes idea that every sports bettor has had to start their own book and plays it out with a few college kids. We see the highs of the life when the money rolls in big, and the challenges of making it big when they rub the local crime bosses the wrong way. They respect the guys’ initiative but don’t lick their own pockets thinning out. There’s a decent little twist at the end that keeps the film interesting throughout. I’m no shill for the oldies, but The Cincinnati Kid belongs on this list despite its long ago lineage. Steve McQueen was, and is, the ultimate hustler and ladies’ man. He’s the young slick poker player long before Mike McDermott came around. He doesn’t have the same baggage, but he is a poker-protégé but he’s still got to beat the best to prove it. It’s fun watching the oldies to see how vastly different things are, while also realizing how the game itself is still about cards, betting, and bluffing. This film would have been ranked higher, but it’s more about a grand con then it truly is about gambling. Nonetheless, it’s a damn good movie. Paul Newman, Robert Redford, and Robert Shaw make a stellar team and with 7 Oscars (including Best Picture) on its resume, it’s hard to disagree. Let’s call it as it is…this film is a classic mob movie. Even though it’s not truly focused on gambling or the gambling mindset at its core, it still portrays it through the mindset of those in charge. Another Scorsese classic with a stacked cast, we see the underbelly of the burgeoning Vegas-scene when it run entirely by the mafia and greased politicians. 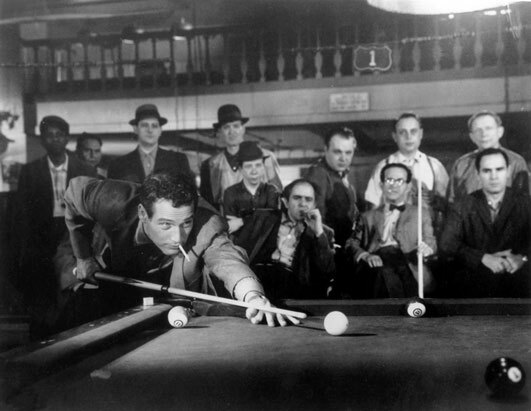 Paul Newman vs. Jackie Gleason. Fast Eddie Felson vs. Minnesota Fats. Felson’s immense talent vs. his own bravado and self-destruction. Newman is amazing in this oldie but goodie as the cocky know-it-all. It may be a little dated, but it’s still got legs. 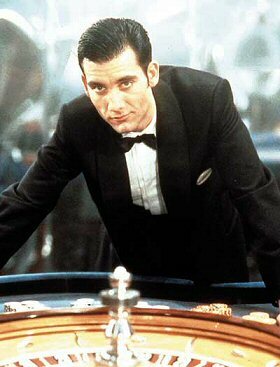 Any good gambling flick has a great lead character with a strong internal conflict. This movie’s got it in spades. Newman is the ultimate talent who finds a way to be a loser. This laid the path for the follow-up to it 25 years later when The Color of Money came out. It’s rare for a gambling film to be shown from the perspective of the dealer, and not the player. We see how completely unglamorous it looks from their point of view when you see it every day, over and over. The monotony, the losers. If it sounds painful to watch, it’s just the opposite. Clive Owen is a writer who takes a job as a dealer/croupier in a casino to make some money. Even the ones who watch the squares day in day out aren’t immune to the lure of the big payday. I’m not a huge fan of the British film genre, but this one is done right and has all the elements you look for in a great gambling movie. 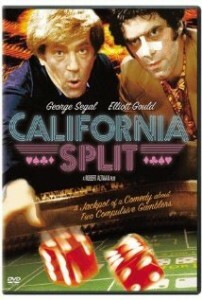 I might get burned at the stake for putting this ahead of its precursor, The Hustler, but this is a sensational film. Part gamble, part hustle, some sports, and all character driven since we never really know who is using who. The film is named after William H. Macy’s character who is actually employed by the casino to cool down tables when they get too hot. Who would have thought that it paid to be a loser at the casino? Apparently it doesn’t, it only pays to be THE ultimate loser. 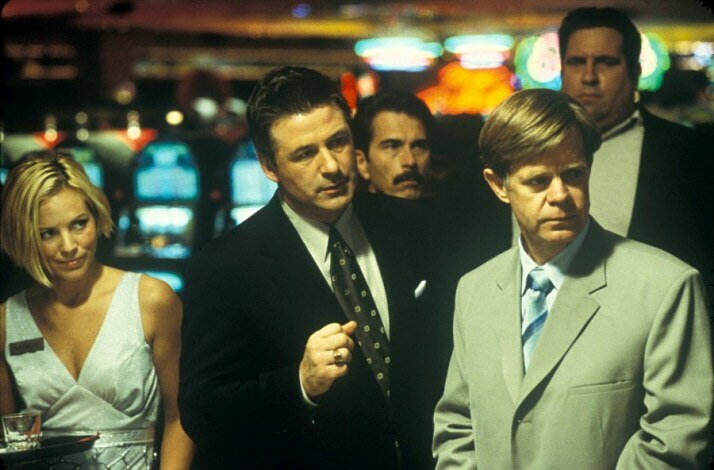 In a cruel twist of fate, Macy’s character loses his frozen touch when he gets a new love interest (Maria Bello) who also happens to be tied in to the casino owner (Alec Baldwin). The Cooler tends to be more about luck than gambling at times, but no other film does a better job of illustrating the full spectrum of being the ultimate loser, to having everything turn to gold. 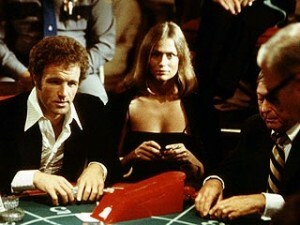 James Caan is Alex Freed, a professor who gambles as much for the thrill of the loss as he does for the win. 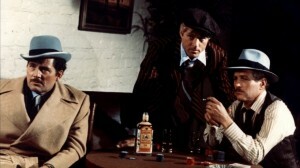 This is one of Caan’s best roles, and that’s saying a lot when you’re talking about the man who played Sonny Corleone. A lot of films have aimed to be a great introspective into the mind of the gambler while also being a gripping mob flick. Not many have succeeded, but The Gambler is the gold standard. 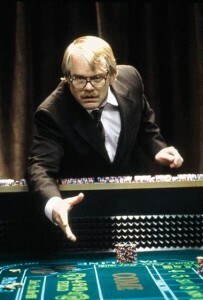 Based on a true story, Philip Seymour-Hoffman puts in what I believe is one of his greatest performances ever. This film set the standard for capturing the true obsession of the gambler, as opposed to many others that take the viewpoint of the gambler who is only out to strike it rich. Small-time Canadian banker Dan Mahowny was truly in it for the thrill of the chase. Mahowny’s story ultimately led to one of the only times all Atlantic City casino were mandated to be shut down. That’s right, this quiet, reserved, Canadian dude who made around $30k per year at his banker job was the reason every AC casino was ordered to shut down. Mahaowny was asked what the most exciting part about gambling was, to which he responded, “Winning”. What was the next most exciting part? 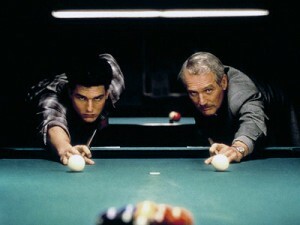 “Losing.” You can’t find a better lead character for one of the most gripping gambling stories ever told. “You tricked me. 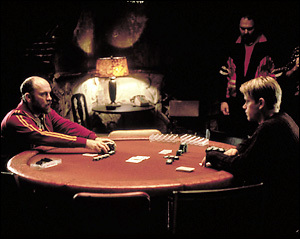 Check check check.” The Movie Mind may get flack for naming Rounders the best gambling movie of All-Time, but just like I believe Rocky IV ended the Cold War, Rounders spawned an entire poker-craze where squares everywhere aimed to be the next Mike McDermott. Unfortunately for them, 99% of players out there today are more like Worm. The cast and script are absolutely amazing. I feel like all of the phenomenal actors all put in one of their best performances in this movie, from Damon, to Norton, Malkovich, Turturro…hell, I even remember acting legend Martin Landau for his role as Abe Petrovsky, the wise sage trying to steer McDermott right. The film still lives on today as every internet poker player, every $2-$4 no-limit casino player, every red-blooded American looking to scratch that itch with some internet gaming, dreamed about staring down Johnny Chan and re-raising him until he laid them down. I am working on a script about a Gambling Mobster Movie that is one of a kind. Remember my name…It will be in lights. make sure you send it my way when it hits the big screen! good luck!